"The story goes that there was a beautiful Butterfly that lost her mate in battle. Upon hearing the news of her mate’s death, the Butterfly retreated to her cocoon for a period of mourning. Over time, the Butterfly came to realize that although her mate was no longer with her in this world, he would still want her to enjoy life and all the experiences it has to offer. The Butterfly knew that her mate would not want her to live her life in sorrow, but in joy; in celebration and remembrance of the time they shared together. Upon this realization, the Butterfly emerged from her cocoon and began to do a beautiful dance, a dance that celebrated life in all its vibrancy. This dance is known today as the “Butterfly” dance, or the Fancy Shawl Dance." 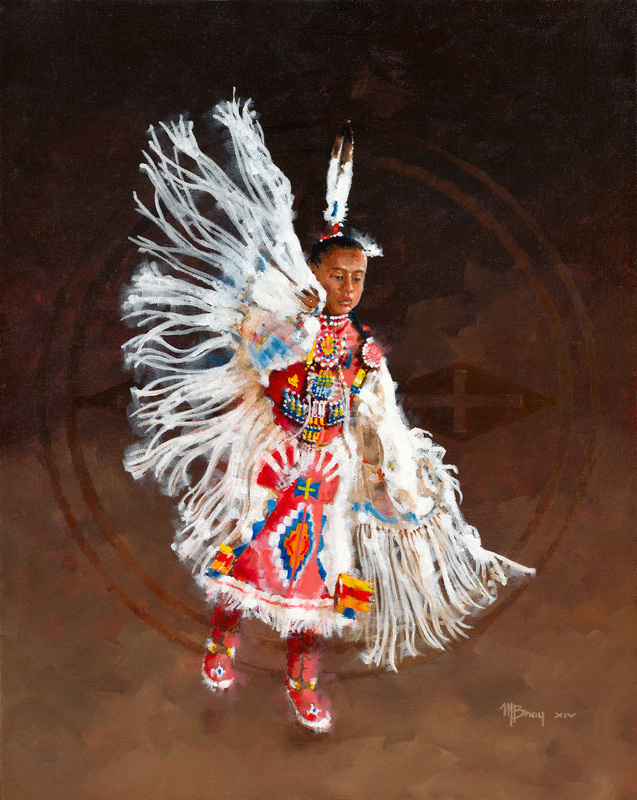 Juried into the 2017 Western Spirit Art Show and Sale held at the Old West Museum located in Cheyenne, Wyoming.